Rule #10 there are no rules. Experimentation, if you are like most people you have a digital camera. Pixels are free! The rules of composition have been time tested to be pleasing to the eye but that does not mean that it is the only way a photograph will be appealing. Know the rules and use them, but also know when it is time to step out and break them. I see amazing photography every day that is not lumped in to any one composition. As more and more people step outside there comfort zones and try new and daring things it influences many people to do the same. Photography is not just photography any more, its construction, destruction, interpretation, emulation, and emotion. It's art, and it is what you make it. Cropping Is rule #9. Simply put this means taking out as much of the stuff in the image you don't want the view to see, so more of the image focuses on the subject. In this shot I have zoomed in on a single vine of Ivey so as to make it the main subject. If I was to pull back you would see that there are many many more vines running along side this one. In the case of cropping, less is more! Next month is the final composition post #10! Do you have any questions that I should go over? Matrix vs center weight metering, gear, style, let me know what your question are so we can all learn something new together. Archways, trees, mountains, holes, buildings... The rule of composition Framing means that the subject in the shot is framed within its surroundings. Imagine a boat on a pond in a great valley between mountains. The mountains framing on each side adds a level of separation from the rest of the world putting more focus on the boat. This is a simple and very effective composition for helping your image tell a story. Here is a outdoor photography tip of the day! When you are planing an outdoor shoot or plan on photographing plants or insects close up, bring a small misting bottle. The secret is to get a bottle that has the finest mist you can. A spray bottle is no good for delicate flowers and it tends to wet everything so much the petals drupe. You want the water to take on an almost fog like appearance. I have found tiny misting bottles in the travel section at most stores that work great. A little water goes a long way so an oz or two is plenty. Or maybe get a "Sip and Mist" type water bottle that will do double duty. Weter is almost always better when photographing outdoor macro shots. Try shooting insects using this technique. Be careful not to hurt them! By wetting the rock or road or maybe leaf that they are on you will bring out a richer deeper color that will give your shot a more earthy feel. A Blaze is a mark, normally a colored paint strip about the size of a dollar bill on a tree or post. It is used a a navigation marker world wide. Hikers use these marks as a way to navigate the forest and to help prevent other hikers from going off trail and getting lost. How to read the Blaze. Two yellow blazes, this means the yellow trail is taking a turn. The basic idea is simple, a trail blazer will start at the beginning of the trail and mark the first tree with a single blaze. He or she will then look down the trail for the next most obvious tree to mark. The plan is to make your next blaze visible from your last blaze and so on. At some point in the trail the next blaze might not be so obvious, if the trail makes a sharp turn or crosses a road in an odd way. The blazer will put a double blaze on a tree to tell you that the trail is changing corse and you should stop and pay close attention to your next turn. The white blaze on this bridge tells me that the trail crosses the bridge. The color of the blazes very from trail to trail. At most trail heads you will see a trail ma that will tell you the color of the blaze. If there are multiple trails in one location each trail will get a different color so that you know witch trail you are on and you will know witch trials you cross along the way. It is possible to be on two different trails at the same time. At this point you might see two or three different color blazes on each tree. Let's say you are following the Orange Trail, and suddenly you see an orange blaze next to a red blaze. You are still on the right trail, keep watching for either trail to have a double blaze at that point the trails will again separate. If it is a double orange blaze stop and look to see where to turn! Some blazes are iconic. Take the Florida Trail, an orange blazed trail that is over 1000 miles long! If you have hiked in Florida there is a great chance that you have hiked on or have crossed this amazing trail! 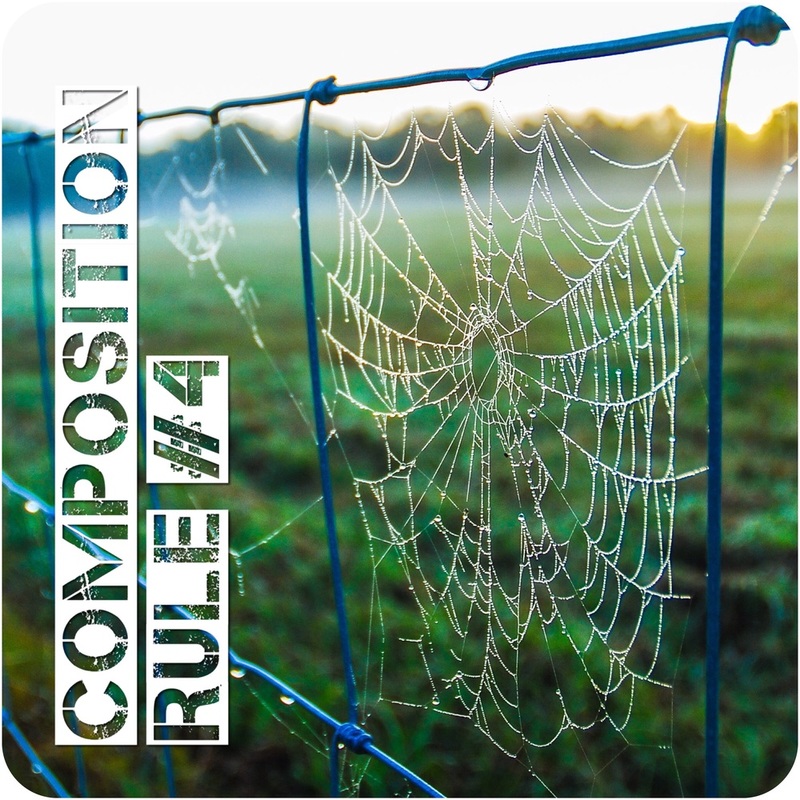 This rule is a favorite among outdoor and landscape photographers. Adding depth to a 2D image is not always easy but there are a few tricks to it. Layers: By breaking up the image with hard defined lines; like the crest of a hill or mountain ridge, into foreground, middle ground, and background. You help the eye understand easier that there is distance in between them. Take the title image above. The tree in the foreground is on top of a hill which drops off and creates a hard line. Next you see the row of mountains in the middle ground and they are crested with a hard line of deep red sand. Lastly the distance is really felt when you see that blue haze of the mountains in the background. So the three defined layers give the image depth. Scale: Another way to help show depth is to have objects that would all be equal size in the foreground, middle ground, and background. Like a row of trees or maybe oil pumping rigs... In the photograph they appear different sizes because the ones in the background are so small and the foreground so large. Your brain will calculate this as depth. It is the same as a road going off into the distance, your brain knows the road is equal width the whole way so it recognizes it as depth. Yes, The 4th of July is coming! And for us here in the U.S. That is a big deal. Fireworks are a staple of the holiday, and for years you have watched them at a backyard BBQ, over parks, and beaches. Now it's time to take those explosion that are gone in the blink of an eye and make them into cherished memories and awesome images! Long Exposure! If you have been a part of the Gillette Outdoors Family for long you have heard the term. I enjoy taking long exposure shots for many reasons, and fireworks are some of them. You will need a sturdy tripod! Your camera will pick up any movement at all and turn you photo into a blurry mess! Now let's talk about the camera setup. This image is what's known as a long exposure, which means that the shutter of your camera remains open for an extended period of time during the shot. To do this it is best that you put your camera in "M" manual mode. In manual mode you have control over all settings so you must know how to adjust them on your specific camera. So dust of your cameras owners manual or search for your model online for the correct setting adjustments. With this low light you need to set your camera up to be able to bring in any light it can so first let's adjust your aperture setting. Now from lens to lens this setting will change because of the inner diameter of the lens but just set your aperture "F#" to the lowest possible number. The lens I was using let me go down to F3.5. This is going to open up the inside shade of the lens and allow the most light to get into you sensor. Next is ISO, I have found that it is better to use a low ISO setting when shooting shots like this because you tend to get a lot of noise when your cameras sensor overly sensitive. So believe it or not I keep with an ISO of 100 even in this dark situation. I would rather give the camera more time than worry about crappie shots. Which leaves us with one last setting which is shutter speed. With this you have a few options first you can use a pre timed shutter speed that your camera has built in. Most cameras will have at most a 30 sec exposure time, so if you can get your shot done in that amount of time then that will work. Or you can set your shutter speed to "bulb" witch allows you to open the shutter and leave it open until you want to close it. Lastly, in the dark your camera will not be able to autofocus, so you will need to set your camera to manual focus mode. To focus your shot put bright light on your main subjects and set your focus and leave it. My lens has an infinity setting on the lens that puts everything in focus so check your lens, you may have the same. Here are some videos that will help you better understand some of these settings on your camera. Shutter speed, ISO, and Aperture. I would start with a 10 or 15 second Shutter speed, and adjust from there. So the whole idea is to light the fuse, trigger the camera. And sit back and watch the show once the firework has stopped check you camera to see what you got! Get creative with sparkles and write your name in the air. Your camera will pick up everything in one image. Background, this rule is an easy one. To make your subject more of a subject, you want it to stand out in the shot. To insure this always try to keep your background as uncluttered as possible. Check out the two images below, both are of the same subject. Left is the view that I had of the flower when I first noticed it. After photographing it I noticed that it gets lost in the background so I then took a minute to find just the right angle to where the background was as clean as possible. Tip. If you like photographing flowers try keeping a black piece of foam board in your kit. Hold it just far enough behind your flower so that it is out of focus (Depth of field) your colors will jump off the screen!! Here is a great outdoor, hiking, camping, life tip! Always keep a few of these lint rollers in you vehicle. After a hike in the great outdoors, and before you get back inside your vehicle take a second to lint roll all of your clothing thoroughly. What you find might surprise you! This is a new section of the GO Newsletter. One of my favorite things about camping growing up was sitting around a campfire listening to stories, some scary, some funny, some true, and well some tall. Share your tails with the GO community. Any story, a great hike or adventure, maybe a funny mishap or close encounter. Simply Email your story to us and we will post it in an upcoming Newsletter. For sharing your story I would also like to send you a GO Prize pack. A little something for showing your support! Often times I find myself drawn to simple photography. By this I mean, a simple subject with simple colors, taken in a simple way. Take this tree, trees are everywhere, we have all seen them. The color pallet green and brown, nothing to flashy. But using the VIEWPOINT rule of composition makes this shot stand out. Viewpoint is a simple concept, and one of my favorite rules of composition. By changing the angle of the shot from what we see with our own eyes every day, and giving the viewer something completely different to look at you can create a shot that is more pleasing to the eye. The next time you are out taking photos, take the shot in three ways. First from eye level, next from ground level, and if possible from a birds eye view. You may need to get creative with this, maybe use a remote shutter or timer on your camera and holding your tripod by the legs above your head. You will look foolish I promise, but you might just get one of those wow shots that will make it all worth it! The shot above was taken in just that way, no fancy equipment, just holding my tripod up with both hands waiting for the timer to snap the photo. It took a few try's to get the right angle but I think in the end the shot is so much more interesting. your shots are only limited by your imagination. So get out there and find a new VIEWPOINT! Next time you are out hiking in the forest and you see an old tree towering into the sky. Take a photo of it at eye level, like most people would do to show there friends this awesome tree they just found. Then walk close to the tree and hold your camera near the ground at the base of it, pointing up at its branches and leaves. Snap away, you don't even need to crawl on the ground or lay down, just simply snap adjust slightly, snap, adjust, snap... Look at the photos on the screen and you will fall in love with one. Now take those two photos side by side. By simply changing your point of view you will be surprised at how you begin to look at the world! In our every day life we are all trying to make things line up. Simple things in life like setting a table for dinner involves symmetry and patterns, as you place the plates down you make sure they are equal distance from the edge of the table and from each other. The napkin to the right of each plate, the glass to the left, silverware in the same order for each setting. Why do we do this? Because it looks amazing! This composition is harder to find in nature unless you are looking for it. On city streets and buildings symmetry and patterns are easy to find because architects love to use them in making things pleasing to the eye. One great example of symmetry and patterns in nature would be the spider web, or sand ripples on the beach during low tide. But that is not all! Trees, leaves, rocks, animals... Everything in nature has some form of symmetry and patterns. Symmetry, if you can take an item or image and divide it in half, and each half is a mirror image of the other. Patterns, when a line or group of lines is repeated over and over. Here is a nice little tool that will make a quick job of starting your fire. 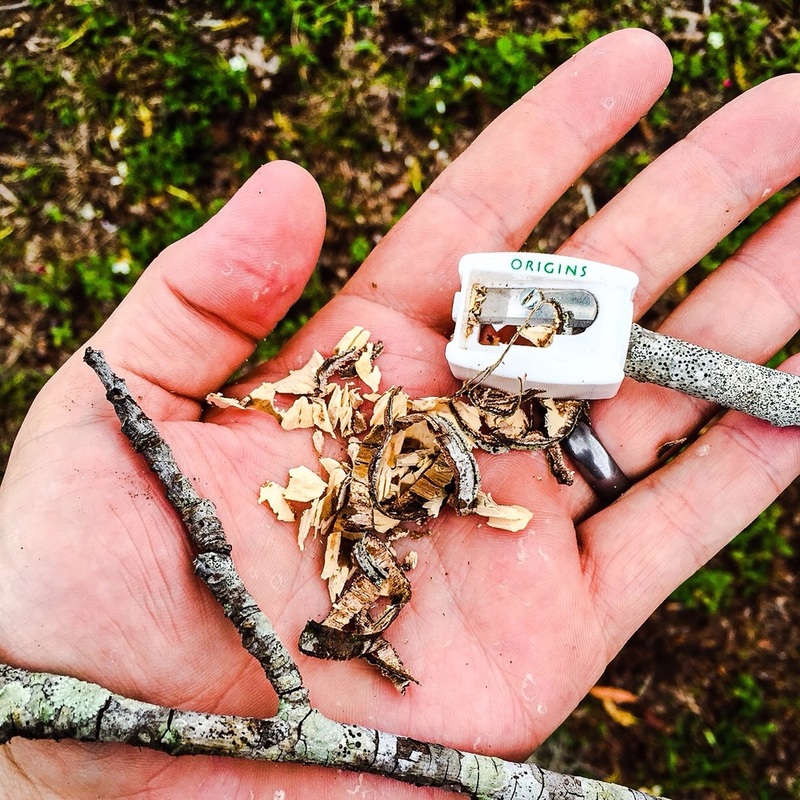 A simple pencil sharpener will help make lots of small easy to light tinder from dry sticks. This is especially useful when in very wet areas or snow covered areas where tinder is not so easy to come by. The concept is simple, grab a stick off of a dead tree and sharpen the end until you have enough finely shaved wood to start your larger sticks. This light wieght and compact tool will not take up much room in your gear and may come in very handy when it matters most! The lost treasure of my childhood. Most of my best memories growing up all took place outdoors. Playing with my friends, collecting fall leaves with my sister and mother, building tree forts, hunting with my father, and getting so dirty that I was not allowed to come in the house until I hosed off. One of my greatest memories is a particular camping trip that I took with my family and my best friend to Higgins Lake in Northern Michigan. That summer we nearly camp for a month straight. My mother always was our "events coordinator" and did an amazing job keeping us kids busy and entertained, which is no small task. Games, crafts, stories, hikes, swimming, scavenger hunts, walks, boating, and sing alongs were all mainstays in our camping trips. But this particular year we added "The Treasure Hunt!" The idea of a good treasure hunt is easy. A series of hidden clues that must be found in order. The first clue leading you to the second and so on. At the end was a prize or treasure that was normally something simple like candy or small toys. 1. First break into two teams, we always did boys verses girls. This made buying the treasure easier. 2. Separately the teams go out and buy the treasure. It is always better when nether team knows what they are hunting for. This can be done before the camping trip just make sure you keep it secret. 3. I recommend if you are camping for a few days that you wait to do a treasure hunt later in the trip. This will give you time to see fun and memorable things in the park or campground with the entire family that way when you reference something like "cross an old bridge" everyone will know that there is an old bridge and where it is located. 4. You will need paper and pins to write your clues, Index cards work great. Also ziplock bags to keep stuff safe, dry, and bug free. 1. The two teams go there separate ways after a great fireside breakfast. With backpacks containing your treasure, paper, pin, ziplock bags, compass if you choose and what ever else you think you might need. Pick a time to meet back at your campsite, lunch is always good. 2. Far from the other team head to the spot you want to hide your treasure. As a hider you will need to work backwards from the final treasure. Find a safe and secure place to hide your treasure. Could be under a footbridge or in an old tree. Always be aware of people watching you hide it if they see you they may take it for them selves. 4. Once you feel that you have a good clue that the other team can understand, go hide that clue somewhere. And then repeat. I have found that the number of clues you hide is all depending on how long you think it will take to find each one and how far you place them apart. I have placed 5 clues within 10 feet of each other or two clues a mile apart. 6. Once you have found the treasure go back to the campsite and wait for the other team with your prize in hand! This is a great way to spend a day in the campground! It gets everyone up and outdoors. Also it gets you thinking. Here are some fun ways to switch it up! 1. Get a small treasure chest with a lock and key to put your treasure in. Have them find the treasure chest and then give them a clue to find the key somewhere at the campsite. That way they open the chest in front of everyone. 2. Hide a clue underwater. 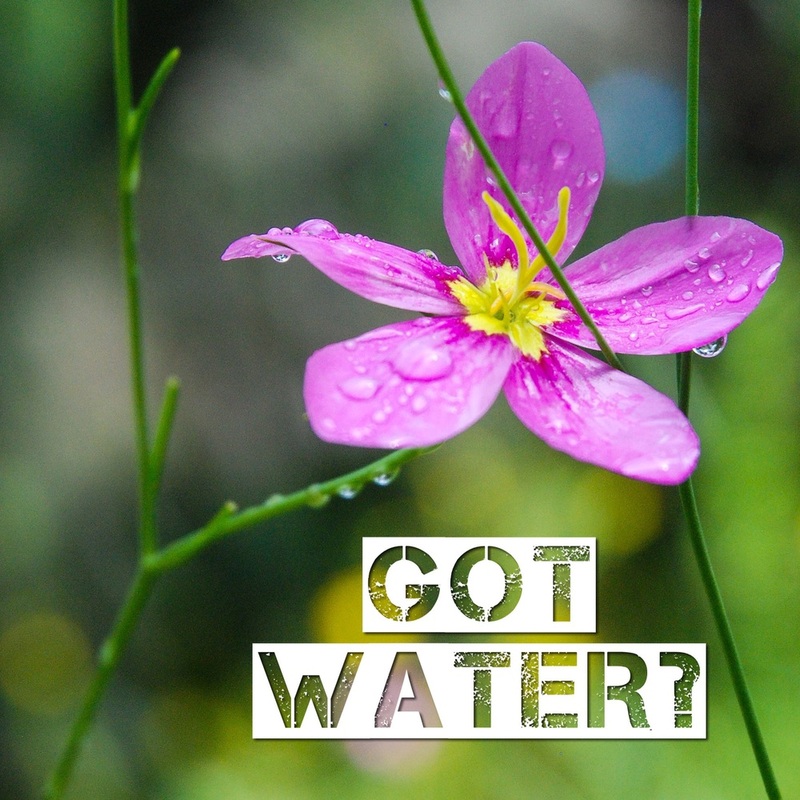 Get a small waterproof container with a clip or string, even an empty water bottle with a piece of string will work. Go to the swimming area of the campground and swim down and attach the container to the swimming area marker chain, or under a dock. Make sure you give good clues so they know they will be swimming. 3. Camp store. We have included money in a clue that sent the finder to the camp store. They were told to buy the clue from the clerk, the clerk then gave them a bag of candy with the clue attached. As a hider you just need to tell the clerk what you are doing, they always love to be in on it! 4. Sing a song. Direct you finders to the Rangers station and have them sing for there clue. As a hider tell the Rangers about your treasure hunt and that a group will come in and sing them a song only then can they have the clue. Everyone loves I'm a Little Teapot! 5. No girls allowed. If your teams are boys vs girls this is a fun one. As a boy hider, hide a clue in the boys bathroom, so the girls will need to find a boy volunteer to go in and find it for them. Campers are always happy to help! These are just a few ideas that we have done in the past, be creative and have fun with it! If you have any ideas let us know! Recently I was challenged to write a poem about beauty in photography. This is way outside my comfort zone, but some times that is the motivation you need. I sat down for a few days and wrote the poem below. I actually enjoyed the task! It made me look at thing a little differently. It was a great exercise and I now pass it on to you! 1. Take one of your favorite original photos and write a short poem about it (any topic). I will Repost and shout out your work across our social media and it will be highlighted in the January issue of the GO Newsletter! A twinkle in the eye of a moment meant to pass. Time set aside on bookshelves, life frozen between polished glass. First steps, words, laughs, and days. Transferred through circuits, captured in whites and grays. The thing that keeps heroes fighting, and will drive a man to drink. Simple ink and paper, is more powerful than you think. Time travel is real, it is shocking, happy, and sad. Just wait till you find that old photograph you forgot you had. So take some time now to snap a few. Because one day it's how they will remember you. Whether you think you look fat, dumb, or bad. Once you are gone, to your love ones they all look like dad. Photographs are pretty, hang them on the wall. But the ones of your family are the most beautiful of all. Here at Gillette Outdoors we want this Newsletter to be the best it can be. So we are asking you for your feedback to help us make it better. What parts do you Like, love, or could you do without? What are we missing? This community is growing more and more every day, let's hear what you have to say.